The Benchmade Nestucca Meat Cleaver Fixed Blade is a hunting knife in the style of the Alaskan ulu which focuses on blade strength and design to get the most efficient, strong cut possible . The large blade is made out of a quality CPM-S30V with a high level of sharpness and durability to match the big game it is designed to cut up. 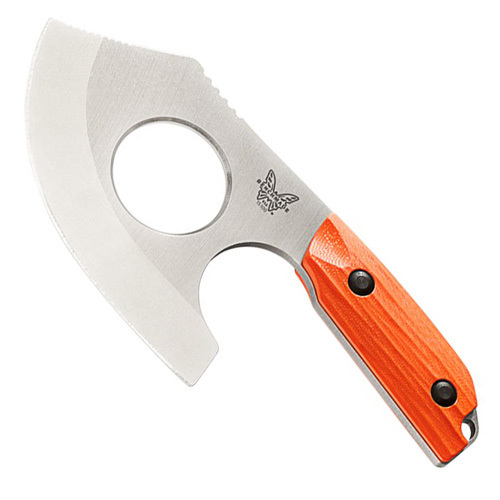 The handle is made out of a strong G10 to match the blade and comes in a bright orange so you’ll never leave it behind. Measures 167 mm (6.6 inches) in overall length.